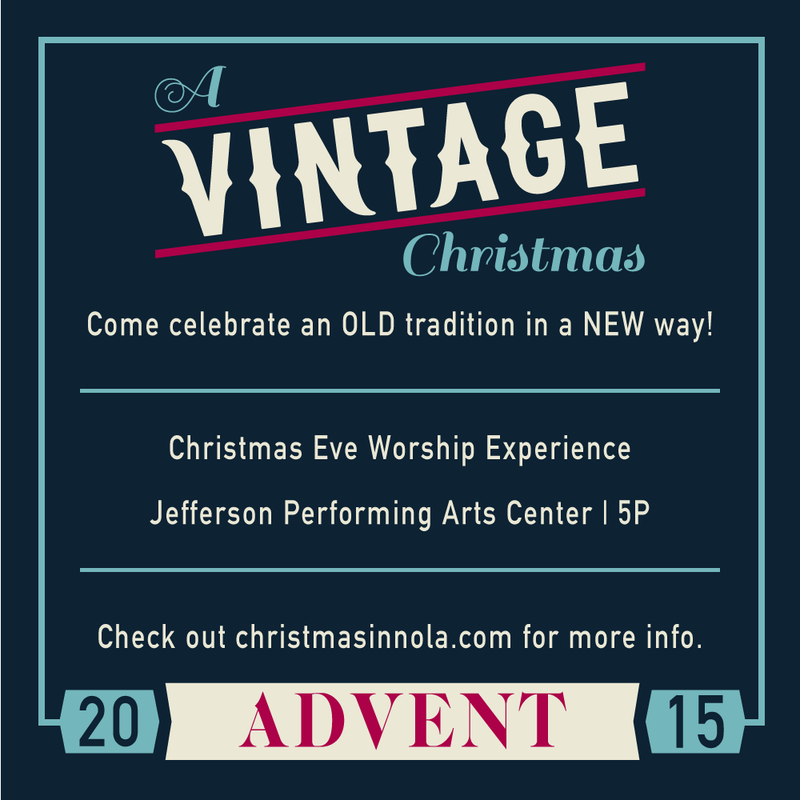 Join Vintage Church this holiday season for our Advent series, A Vintage Christmas. We will be looking at the hope, peace, joy, love, and Christ that we have during the chaos that has become the Christmas season. The series will culminate with a Christmas Eve Worship Experience at the brand new Jefferson Performing Arts Center. A special instrumental musical preshow will start in the lobby at 4:00p. Theatre doors will open at 4:45p and show will start at 5:00p. 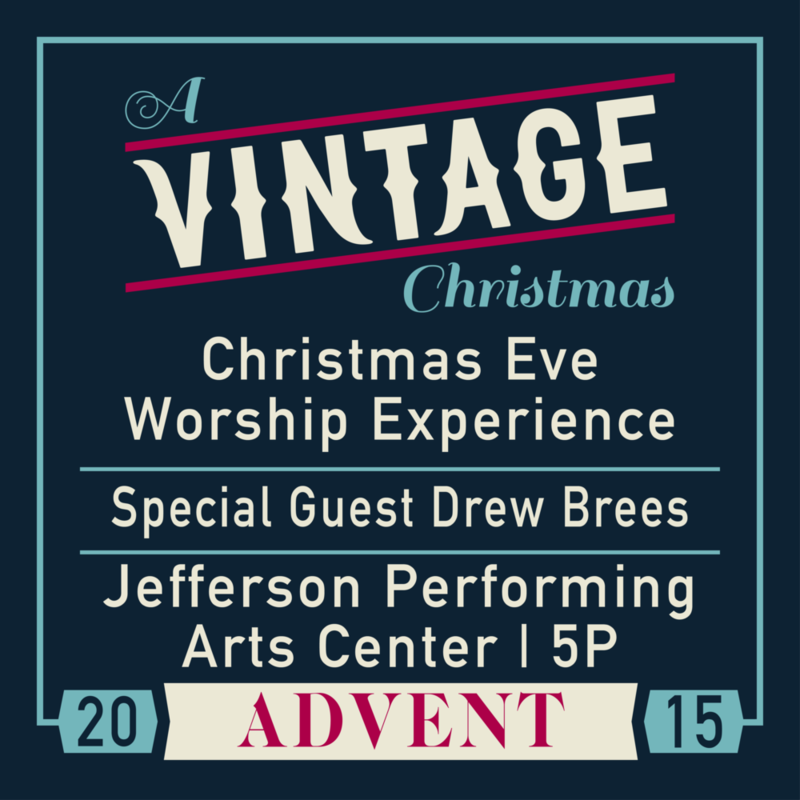 Special guest, Drew Brees of the New Orleans Saints, will share about his faith & family. Childcare will be provided at the venue for babies through Kindergarten. Free off-street parking and handicap accessibility will also be provided. Click here for directions. Bring the family and friends as we celebrate Christmas together! Pastor Dustin kicks off "A Vintage Christmas" looking at Isaiah 9 and reminding us that, because Jesus has come, we can have hope. In the third week of A Vintage Christmas, Pastor Dustin preaches from Matthew 2 and shares how we can find joy in Jesus. 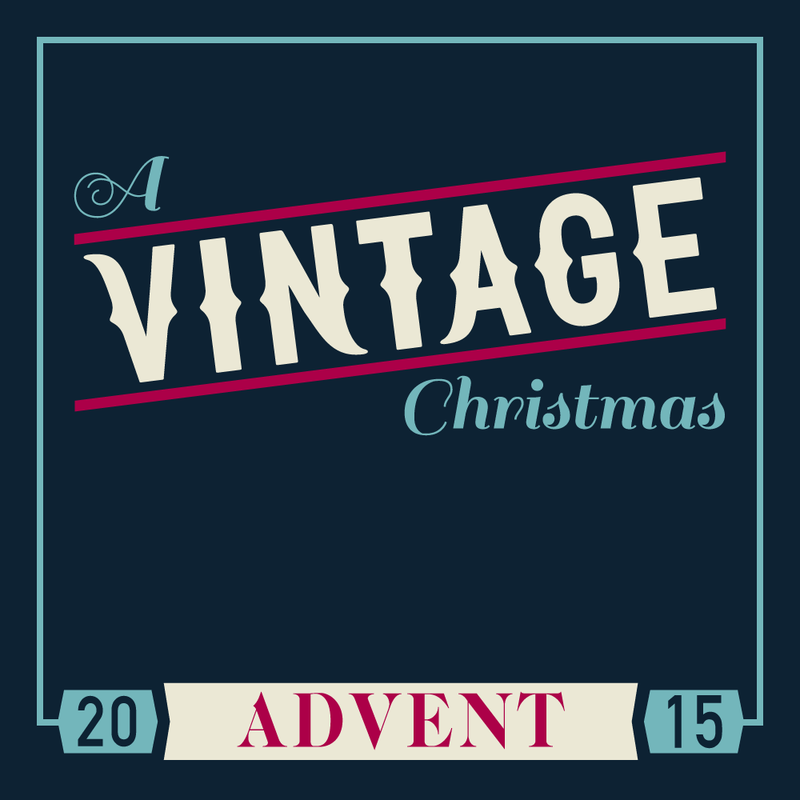 In our fourth week of A Vintage Christmas, Pastor Rob Wilton reveals the amazing love of Jesus from 1 John 4. In this special message, Pastor Rob Wilton and New Orleans Saints Quarterback Drew Brees encourage people to receive the gift of Jesus. Help us spread the word about our Christmas Eve Worship Experience by downloading and sharing one of the images below on social media. To download all of the images, click here.